Sharekhan Neo is an automated, robo-advisory platform that assists you in deciding the stocks/trading products to invest into. There is no human intervention in the funds suggested there is no chance of a human error or bias. Let’s understand the basics and how it can help you through this detailed review. Sharekhan is one of those rare stock brokers of India that enjoy huge brand recall and equity among the masses. Although it was sold out to BNP Paribas in 2016, the stock market grasp has only gotten better post the acquisition. The full-service broker has been known to add technology innovations in its propositions to stock market traders and investors over the last decade or so. Sharekhan Neo is one of those latest additions in its armoury. 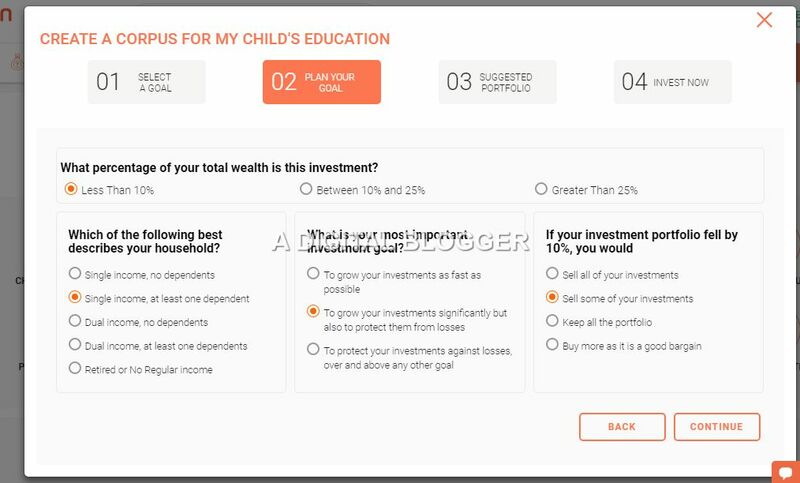 Like Angel Broking ARQ, 5Paisa Auto Investor – Sharekhan has also come up with a robo-advisory service that takes in your inputs and then recommends some of the financial assets that you can invest for short or long period of time. The inputs basically take in aspects such as your risk appetite, your capital to be invested, financial goals and objectives and so on. The service considers your risk appetite and corresponding behaviour and then provides a plan towards your achieving your goal. This goal can be children’s education, marriage, foreign trips, house a house or car and so on. 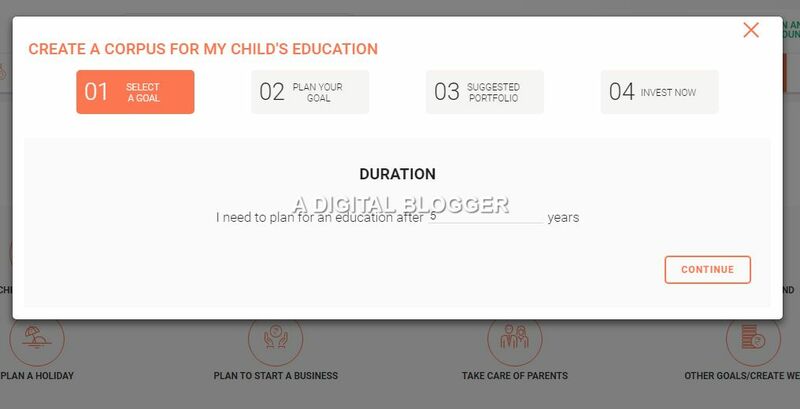 At the same time, you also get the option to create different plans for your self-based on your short and long-term goals. All these goals allow you to change the tenure and the risk profile so that you can get appropriate recommendations (more on this later). Sharekhan Neo provides you up to 6 recommendations across different asset classes based on the information you provide. 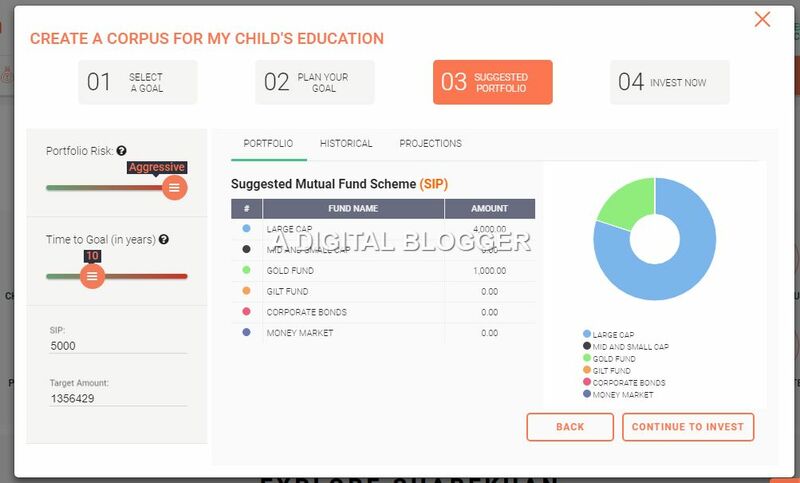 In a sense, the tool gives a good idea of how should your portfolio look like with exact distribution of funds in each recommended category. At the same time, the broker claims that the tool continuously monitors your investments and suggests any changes to your portfolio if and when deemed necessary. However, this cannot be confirmed by our end yet. Sharekhan Neo – How it Works? Let’s dig a bit deeper to understand how the complete process works and how you get those recommendations from this robo-advisory service of Sharekhan Neo. Based on your preferences, you may choose a goal out of the above-mentioned ones, otherwise, you may choose others. For this walkthrough, let’s say we choose – “Child’s education” as the goal. After selecting the goal, you need to figure out the time period you want to invest on a regular basis. Remember, to practically reach that goal and thus, finally help your child for a decent education, you MUST stay invested and never take the money out. If you do so, you can potentially lose out on the profits you could have earned and thus, will fail in achieving the goal itself. Thus, commit the time period very cautiously promising yourself that you will stay committed to the fund for that duration. Let’s say for this example, we take it as “20 years”. Now, after selecting the goal and the corresponding investment period, you need to figure out the mode of investment. Sharekhan Neo suggests you pick one of the 3 possible modes. This is suggested if you have savings in bulk or have the huge corpse of money lying around without being put into an investment firm. Generally applicable to businesses or individuals, who have been able to gather money by selling property, business etc and would like to make the best out of the total capital. SIP or Systematic Investment plan is generally suitable for users who are salaried employees and want to invest a portion of their income on a monthly basis. These investments help in creating a habit of regular investments and thus, invariably assist you in reaching your goals with a minimum of fuss. However, one thing is to be certainly taken care of – you MUST be consistent. Well, if you are somebody, who has multiple sources of income or get a bonus every now and then apart from your regular monthly income – in that case, you can opt for both Lumpsum and SIPs. Here you do keep the habit of regular investments on a monthly basis but also invest the lump amounts that you get at different points in time. This habit will help you in reaching your goals in a much quicker time as compared to the other two investment modes discussed above. At the end of the day, you need to be sure which model of investment works the best for you. Once you take that decision, you must stick with it throughout your investment journey. So, once you have given the information on the kind of investment you are looking to make with its time period and your investment style, the next thing you need to do is figure out your risk appetite. For instance, you are required to mention, you much of your overall income corpse goes into these investments. Furthermore, here you tell how exactly do you handle losses and what will be your reflexive response in case the market goes through a windy phase. With these understandings into consideration, Sharekhan NEO, like any other robo-advisory recommends you corresponding investment options. Once you have provided all the details, Sharekhan Neo recommends different stacks of investment classes along with the appropriate bifurcation of the overall investment chunk. Yes, you do have the option to change your risk level along with the time period of the overall investment. By doing so, the suggested fund classes and their segmentation also sees a change. You can also see the historical performance of these asset classes and the projections by the research team of Sharekhan. The overall walkthrough of this advisory tool is simplistic and user-friendly. Furthermore, it takes in multiple inputs from the user that helps it to measure the user profile. However, the tool does not explicitly goes to the length of recommending the actual fund names. This is one stark difference between Sharekhan NEO and other robo advisory services such as Angel Broking ARQ or 5Paisa Auto Investor where the latter two will recommend you the actual funds and stocks after taking in user inputs. At the same time, this is too big a difference to ignore. Sharekhan NEO, in a sense, mandates the user to open an account with the broker and only after that discloses the fund names, thus making the whole process a little marketing gimmick for the end user like yourself. In a way, if you are not a client of Sharekhan, you actually do not get to experience Sharekhan NEO and that itself is a self-killing customer acquisition strategy. Nonetheless, you can try this out for your own experience. We also recommend you to check out other rob0-advisory services available with brokers such as 5Paisa, Reliance Securities, and Angel Broking.